I have studied classical music privately and academically for 29 years through grade school and at the university level. 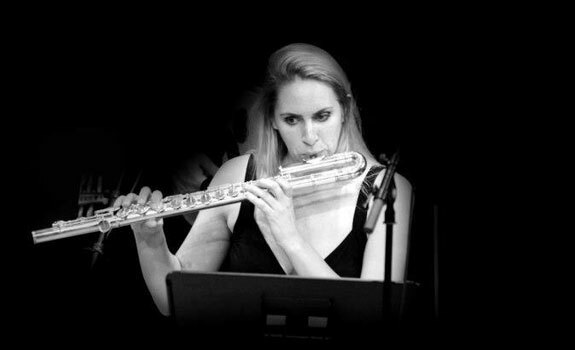 I received my Bachelor’s Degree from Stony Brook University and my Master’s from the University of Chicago in 2002 where I was awarded “Best Creative Thesis.” I am a soloist and teach private flute, piccolo, and alto flute lessons through Skype and at my Stony Brook studio. I perform classical music and compose original works as well as flute parts for contemporary composers. 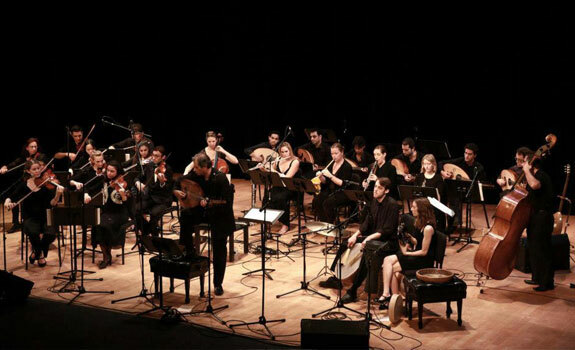 I perform as a soloist and member of the New York Arabic Orchestra and Long Island’s Brookhaven Flute Choir. Proficient in both sight reading and playing by ear, I work with accompanists of any instrument and genre. Perfect pitch and the ability to read music have enhanced my work. A beautiful collection with 23 tracks of well known classical works and unique arrangements for flute and harp, flute and piano, flute and chamber orchestra, and flute solos. Baroque to contemporary compositions are featured including works by Bach, Mozart, Debussy, Faure, as well as music by contemporary composer Barry Heartglass, and an original composition by the flutist, Karin Marcello. A Reiki enhanced classical CD, many tracks are a perfect guide for meditation and relaxation. CD is $15 or $9.99 for the downloaded version. Individual tracks can also be purchased and downloaded. 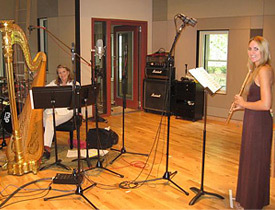 For flute and harp concerts I perform with harpist Karen Lindquist. She is an avid chamber music player who appeared at the Marlboro Music Festival, with the Chamber Music Society of Lincoln Center, the Bravo, Colorado Festival in Vail and is principal harp of the Long Island Philharmonic orchestra. We perform selections from my album including contemporary classical compositions written by Barry Heartglass. Quartz Singing Bowl and Flute Concerts with Crystal Singing Bowls, Indian Bansuri and Western Flutes, and Voice are a unique musical event. Relaxing, meditative music merges with classical and original music and improvisation using quartz singing bowls and voice to create a powerful journey through sound. An accomplished musician and healer Karin Marcello, MA was born into a lineage of artists and spiritual practitioners. She is a requested musician and spiritual guest for performances at the UN and at the Royal Palace for one of the Kings of Indonesia. She is a soloist, primarily a western and Indian classical flutist. She is also well versed in voice, piano, composition, and music history. 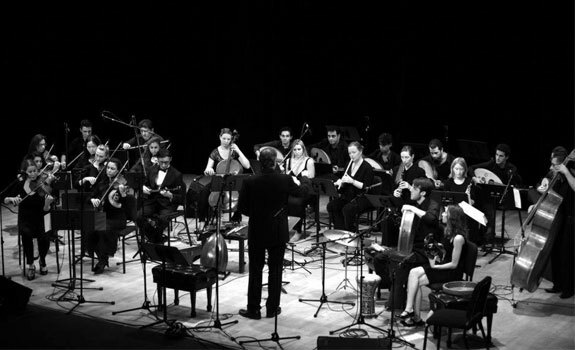 In 2012, Karin was asked to join the New York Arabic Orchestra on flute and alto flute. Karin is from a musical family that also has four generations of psychic mediums, channelers, and healers. Her lineage includes many musicians born with the rare musical ability of perfect pitch. Her family members include past performers at Carnegie hall, authors of published guitar method books, and authors of channeled spiritual literature. One of the more prolific healers, her great grandmother, used be called in to homes in her village in Italy to offer energy work as the priests performed the transitional last rites ritual. Karin continues her education of music and healing in the US and Europe, and makes annual trips to study in India. Karin feels her fortunate upbringing in a classically trained musical family with innate ability has encouraged her to combine her music and spirituality in a significant way that helps others. Karin feels her sound healings are not a performance, they are a method of helping others enter a state of gratitude and inner peace. I am now a member of the New York Arabic Orchestra, playing flute.